Complex patterns are sometimes needed for success on the water. At other times, ingenious simplicity wins the day. The latter is true for one of Matt McCannel’s most recent creations, the Demon Midge. Matt’s motivation for the Demon Midge was to create a more effective point fly used in tandem rigs. He added a slight amount of flash to ensure that it would not spook heavily pressured tail water fish. The use of the red Daiichi 1273 adds to this element by blending with the pattern instead of displaying the bronze flash of a traditional hook. These elements combined with a highly accurate profile result in the perfect fish catching tool. The outward appearance of this pattern does not honestly depict the true nature of its core. Veevus Body Quill in Fuschia is used to create the abdomen. The base color of the red hook and over coat of epoxy combine to create a glowing red appearance. Highly knowledgeable people create highly effective fly patterns. This holds true for the Demon MIdge. The on-the-water performance of both the creator and the pattern warrant a place in your 2018 midge box. 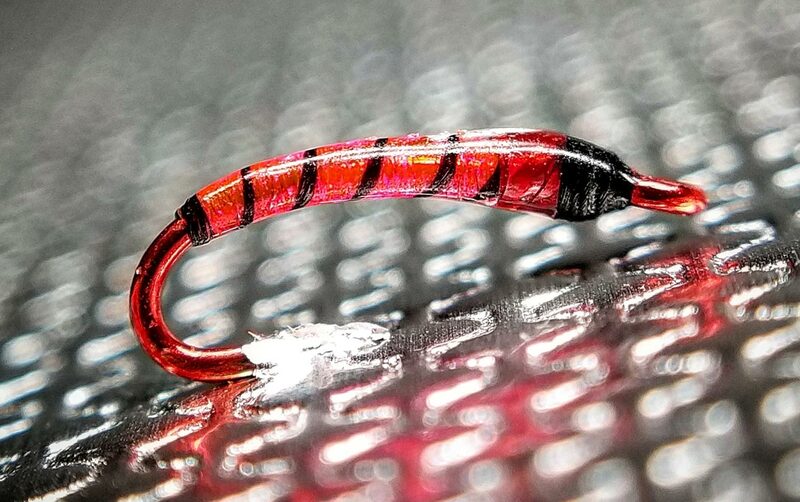 Watch this video and learn to tie the Demon Midge. This entry was posted in Fly Tying, The Hot Ticket, Trout Fishing and tagged WATCH THIS VIDEO AND LEARN TO TIE THE DEMON MIDGE. by Louis Cahill. Bookmark the permalink.